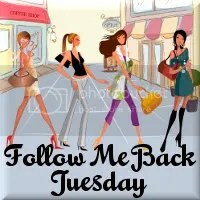 Follow Me Back Tuesday is hosted by Survey Junkie, Little Yaya’s,Review Retreat & Boobies,Babies And A Blog..
It’s a great way to start off your week & get more BF’s !! And when you receive a comment from a new follower return the favor & follow them back. Hello, happy Tuesday sis. Was looking for your badge. Anyway, I will put your link here. first time for me to be here, thanks for the visit sis. Thanks for linking up with Follow me back Tuesday! I am your newest follower. I hope you enjoy your week! Thanks for linking up with us for FMBT, I am now following you back. Following you from FOLLOW ME BACK TUESDAY using Google Friend Connect Username Pinay Mommy Online. HAPPPY TUESDAY. I am your newest follower.